Titanfall spin-off Apex Legends has launched for free across PC, PS4 and Xbox One, but some of you still have some burning questions about cross-play, battle passes and seasons. Apex Legends is free-to-play, but it does things differently than a number of battle royale and hero shooters you may be used to. Aesthetic loot boxes are still a thing and you can purchase two Legends with either your own money or with tokens earned in-game. 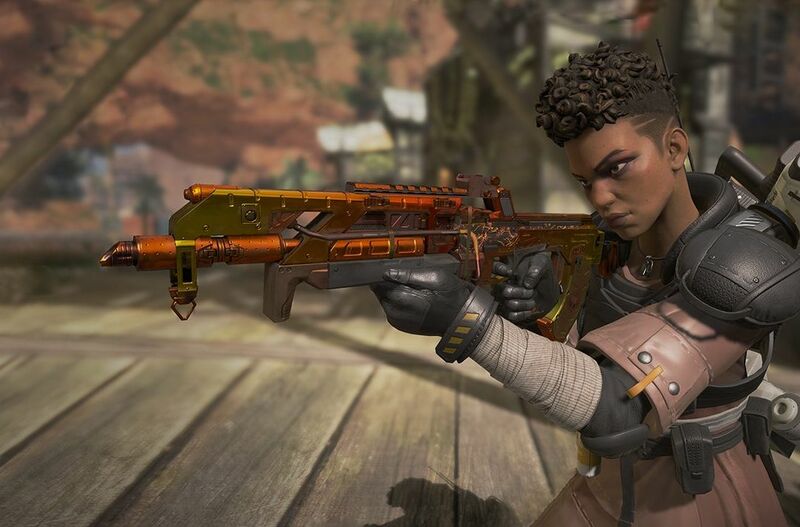 Although released on PC, PS4 and Xbox One, Apex Legends does not support cross-platform play. If you’re playing on one console format, you can only play with others on the same service. This question has likely been prompted by Fortnite, which supports cross-platform play across PC, mobile, Switch, Xbox One and PS4. Speaking to VG247, Respawn’s design director Mackey McCandlish said cross-platform play across different formats is something the team is interested in, but it’s not going to be a feature of the free-to-play multiplayer shooter around the launch window. The only squad size for Apex Legends is a three-person team. Although you can drop onto the island solo by breaking from the designated Jumpmaster, the game is designed with three-player squads in mind. There is currently no support for solo play or duos. However, Apex Legends code leaks have revealed mentions of solo and duo modes, so we’d expect those modes to be added sometime in the future. How solos and duos would change the dynamics of the game should be interesting, as all Legends have been created with different skills. The Season 1 Battle Pass, Wild Frontier, will last for three months. There will be 100 Battle Pass rewards to unlock in Season 1, 25 of which you can unlock instantly with the Battle Pass Bundle. There will also be free rewards for those who don’t purchase the Battle Pass that you can earn by progressing through the free tiers. Currently, there are coins for sale in Apex Legends, which are used to buy skins and other cosmetics. At least two new Apex Legends modes have been found in game files. Recruit mode drops three teams of 20 players onto the map, and reviving downed players recruits them to that player’s team. The last team standing wins. Survival mode appears to include spectator and commentator NPCs, as well as some form of replay mode. Expect both of these new modes to roll-out soon, although these may not be their final forms. The same Apex Legends leaks have revealed the existence of two unreleased heroes: Octane and Wattson. Octane is equipped with a stim injection, while Wattson can deploy a Tesla trap. Although these are not in the game yet, Respawn has said it will introduce new Legends as the game evolves. Just like Fortnite, Apex Legends players who subscribe to Twitch Prime can bag themselves some exclusive loot. From now until April 20, log in to your Twitch account and you’ll be able to download the Omega Pathfinder skin and 5 Apex Packs that include cosmetics and other loot. Is Apex Legends on mobile, iOS, Android, Switch? There’s no mention from developer Respawn about Apex Legends on Nintendo Switch, or mobile formats such as Apple iOS or Android. If it intends to compete with battle royale games like PUBG and Fortnite, we might hear an announcement in the future. Apex Legends download size is around 22GB on PS4 and Xbox One. You’ll need to download the whole game to play multiplayer, but after around 6GB you will have access to the brief training mode and menus. On PC, it’s surprisingly smaller, at just 12.7GB. Likewise, you’ll also be able to play the game after around 7GB have been downloaded. 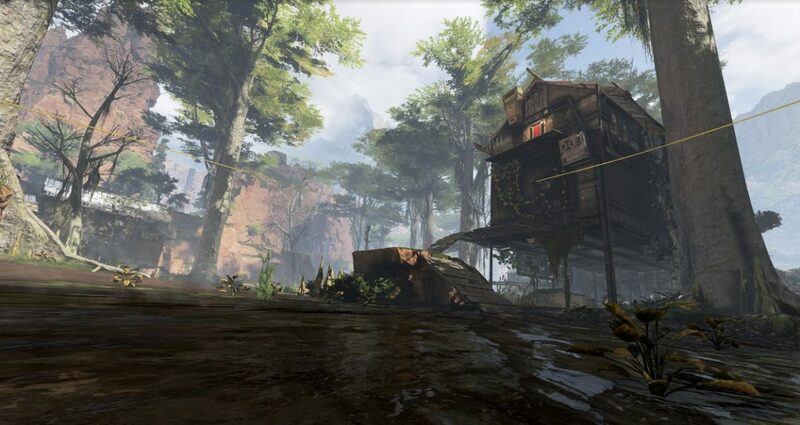 Apex Legends was built using Valve’s source engine, as many of you might have spotted. There are 13 settings you can adjust and you can even unlock the framerate from 144fps if you set vsync to dynamic. If you have a budget gaming PC build, you should be able to hit 60fps no bother, though you might need to turn some of the settings down. If you’re looking for gameplay tips, here’s a guide to the best guns, Legends, finishing moves and more.